How to make best use of close-ended mutual funds? 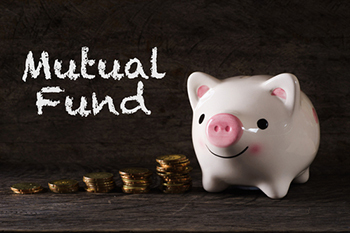 Considering the growing interest in mutual fund investments, a category of mutual funds, closed-ended mutual funds have emerged as a good investment option. These cater to only a limited number of investors. An increasing number of people are today investing in mutual funds and see it is as a viable income source to maintain a comfortable lifestyle given soaring prices and inflation. Mutual funds not only give better returns but also help you to diversify your investment portfolio. With the power of compounding and rupee cost averaging, mutual funds have attracted investors’ attention. Considering the growing interest in mutual fund investments, a category of mutual funds, closed-ended mutual funds have emerged as a good investment option. These cater to only a limited number of investors. This makes the close-ended mutual funds sell their shares only on the IPO day (Initial Public Offering). How are close-ended mutual funds advantageous? Professional management of portfolio: Close-ended mutual funds are efficiently managed by professional fund managers. Since the volume is pre-planned, they are generally devoid of any unnecessary chaos and mismanagement. Have stable securities in the portfolio: As the closed-ended funds are planned well in advance, the number of shares and the securities which are to be invested in is pre-decided as well. Dividend reinvestment plans: Close-funded mutual funds often have the option of dividend reinvestment, where the dividend earned on the investments is further reinvested to upscale the investment value. This helps in compounding the investment and results in a much higher Net Asset Value (NAV) of the investment, especially in the long-term. Close-ended funds are not affected by market panic: Investors’ don’t sell their shares in panic due to low liquidity and this remains a plus point especially when it comes to bringing stability. This does not let redemption pressure to come overhead. Thoroughly analyse the portfolio: There is no past history or real-time analysis of the fund, as the fund is declared and available only during the IPO. This means you have to completely rely on your analysis of the portfolio. Before making any decision, you need to ensure that the portfolio you have chosen has the right set of securities for a better return on investment. Consider the low liquidity of the fund: Close-ended mutual funds, offer low liquidity of the funds, where unlike open-ended mutual funds, you do not have the option of exit anytime. The only way you can sell a close-ended mutual fund prior to maturity is on the stock exchange. This means you need to make sure that you can afford to fix your funds for a longer duration. No SIP option available: If you do not have a large amount to invest in one go and are looking forward to taking SIPs (Systematic Investment Plan), then you need to consider this. Close-ended mutual funds do not offer the option of SIP, so you need to invest whatever amount you want to in a go during the IPO declaration.